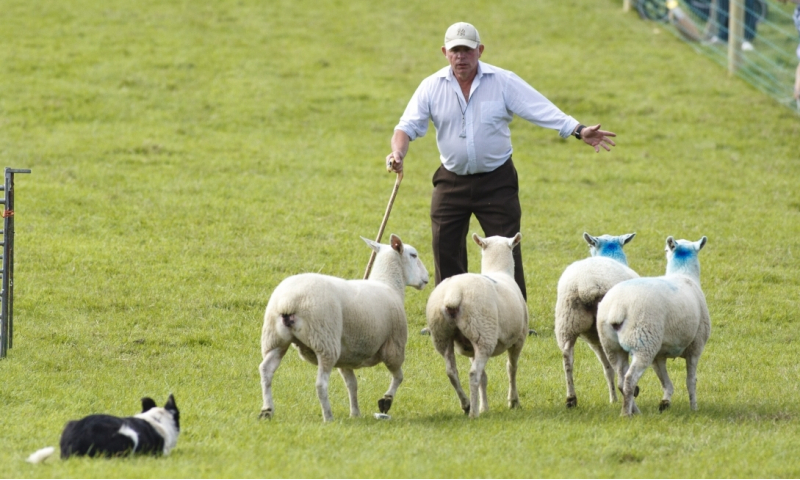 A reliable dog is an essential part of a sheep farmer's life. 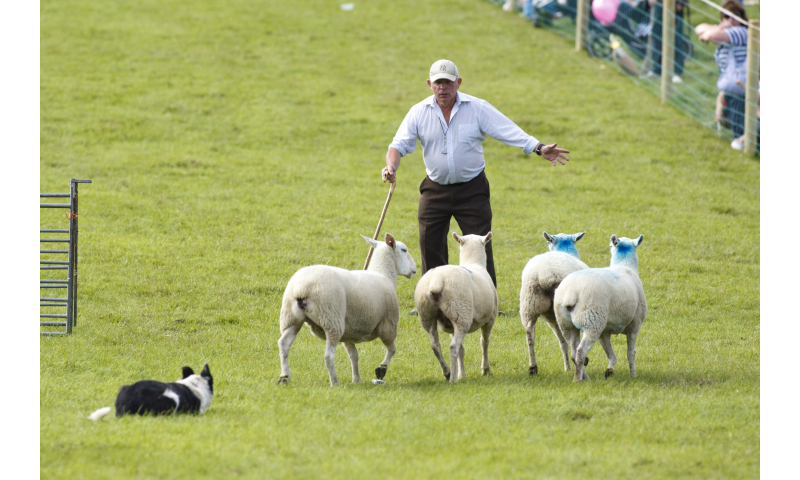 Watch the professional nature and relationship between farmer and dog here on Show Day. 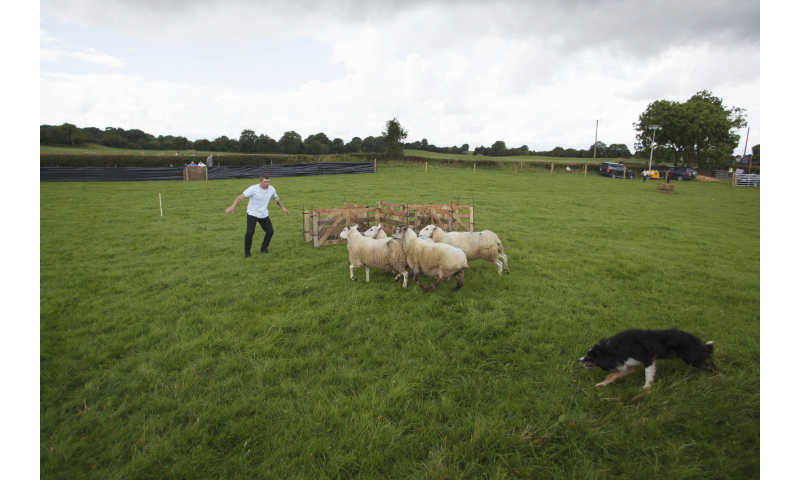 This Demonstration tests both the speed and the skill of the handler and the dog, and brings people from all over to watch them in action. 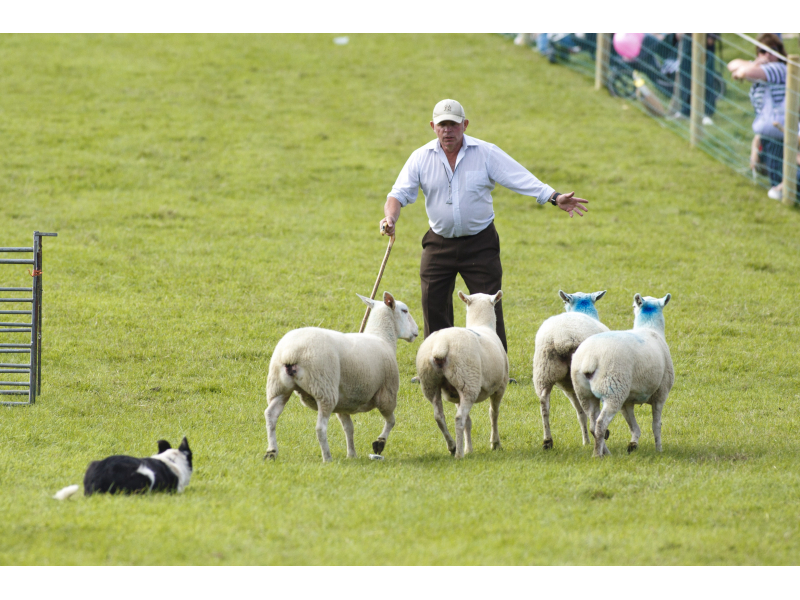 The demonstration is run in an enclosed arena, measured 60 x 120 yds. 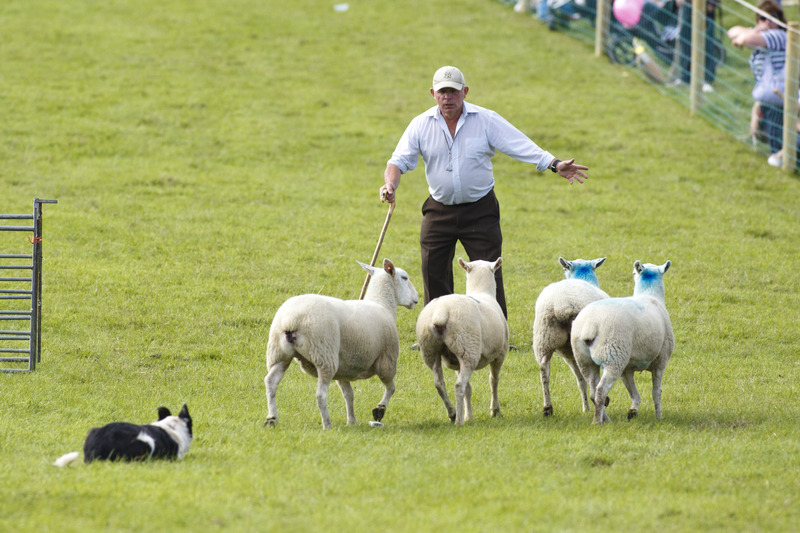 The handler must complete without error, a prescribed course against the clock. 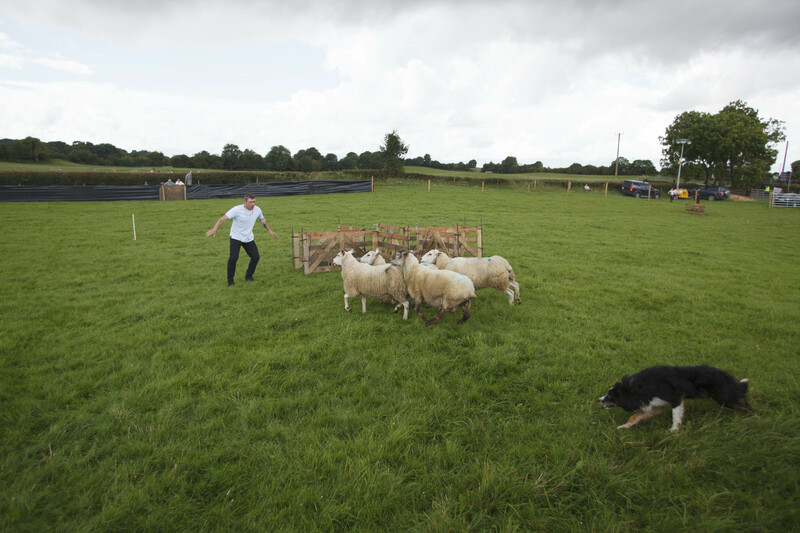 This course consists of driving four sheep in a figure of 8 around two barrels, twice through a Maltese Cross and into a small pen, without penalties, in the fastest time. 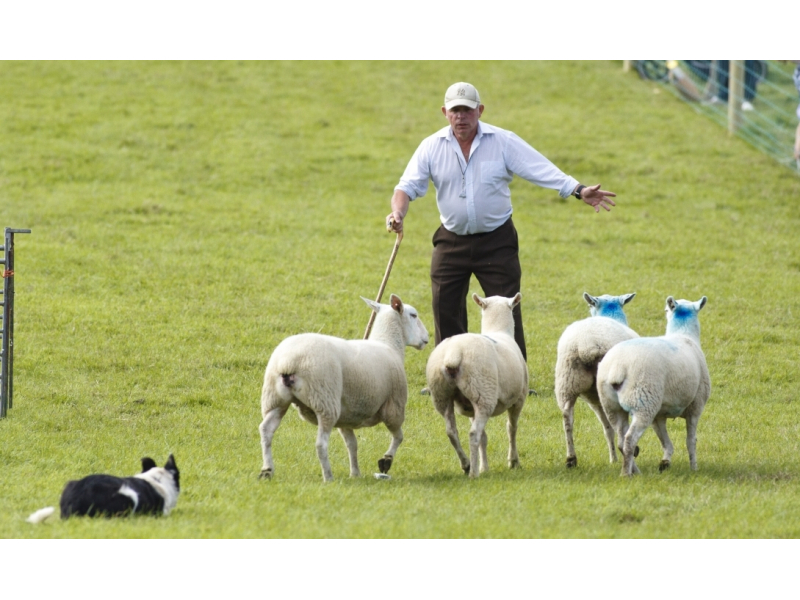 Sheepdogs, by their nature, control the flock in a predatory behaviour, making them differ from very much from cattle dogs. 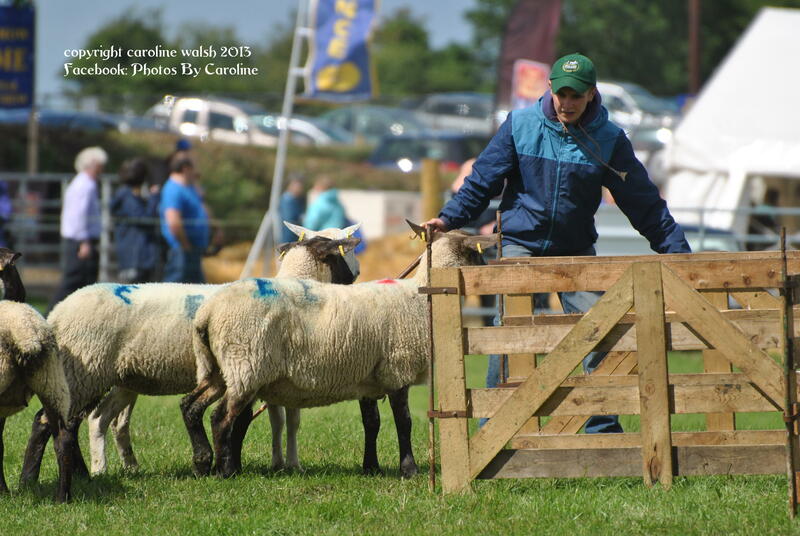 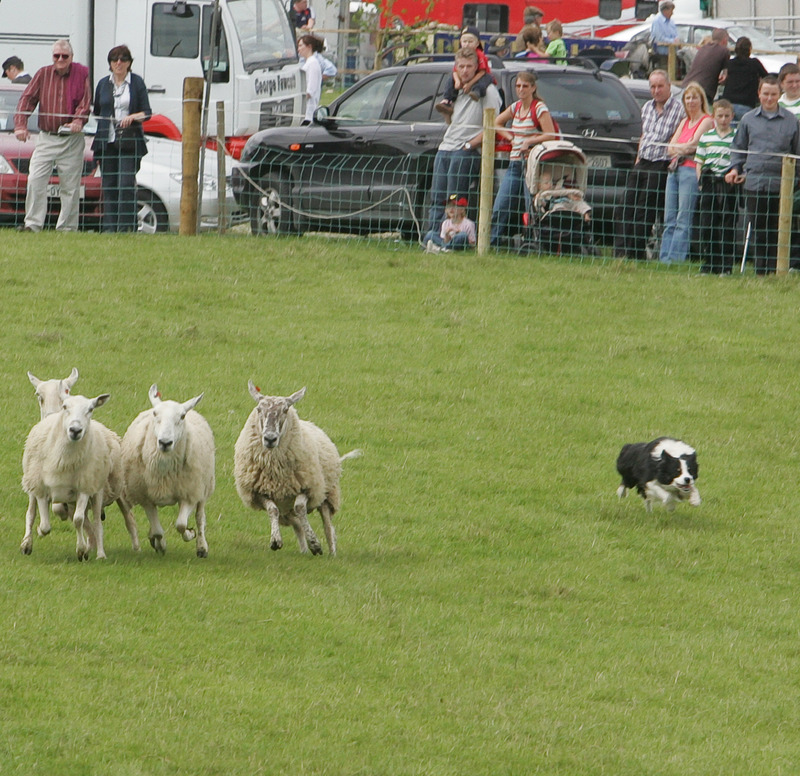 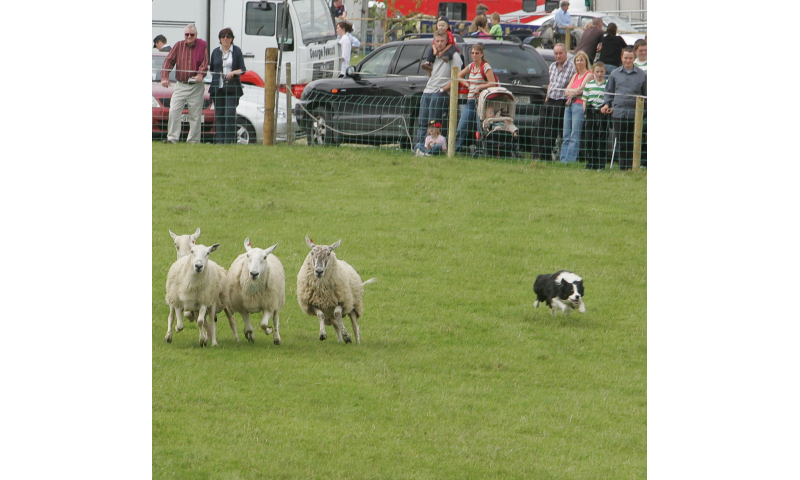 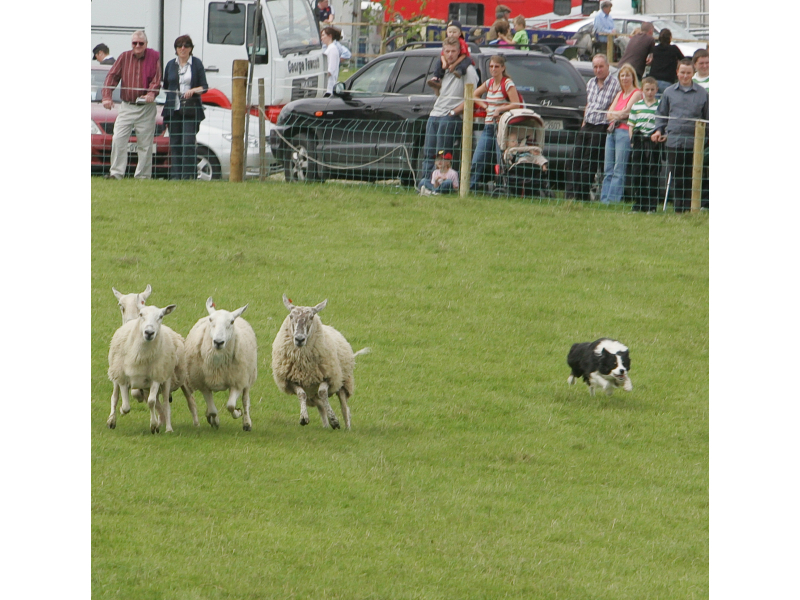 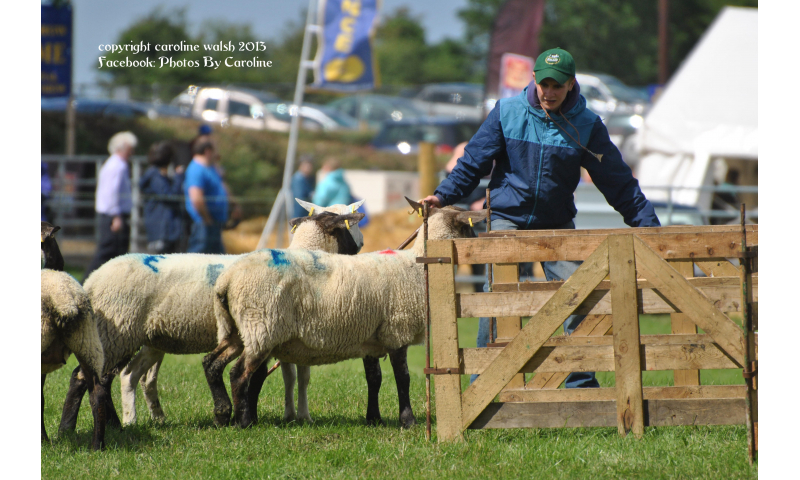 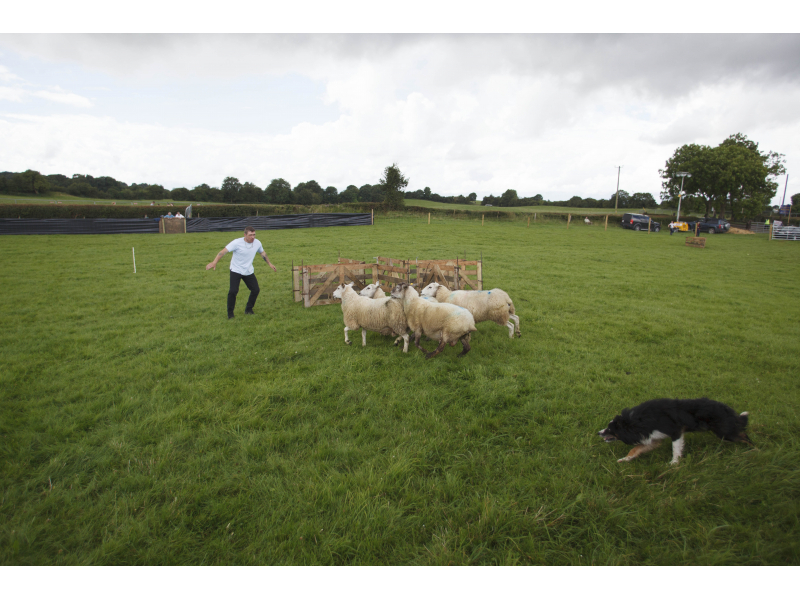 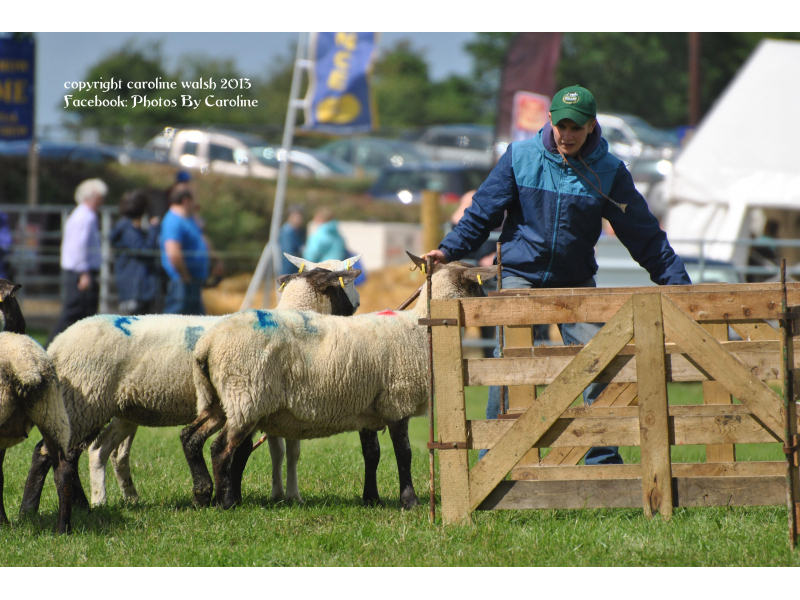 See them in action on Show day in a special Sheep Dog Trial Ring.